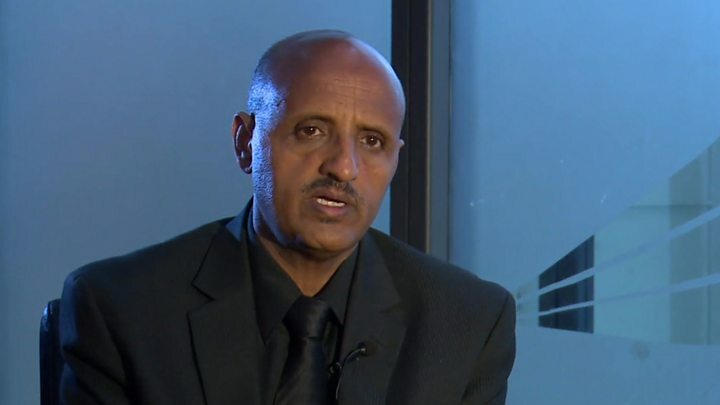 The boss of Ethiopian Airlines has called for the grounding of all Boeing's 737 Max 8 aircraft until it is established they are safe to fly. Many countries have already suspended the plane after one of the airline's jets crashed on Sunday minutes after take-off, killing 157 people on board. 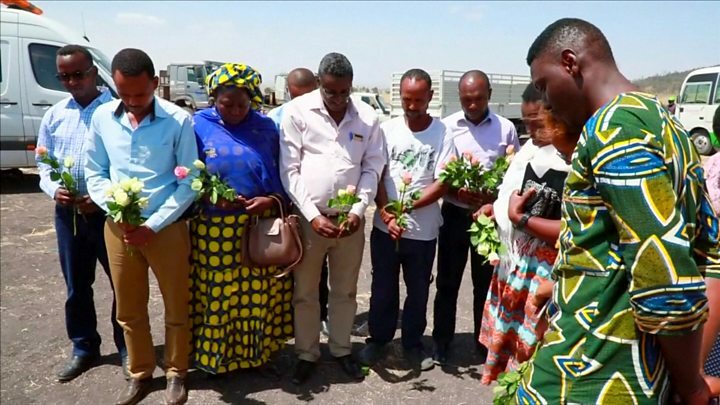 Tewolde Gebremariam told the BBC that although the exact causes were still unknown, there were similarities to a Lion Air crash last October. But US officials say the jet is safe. The Federal Aviation Administration (FAA) said a review had showed "no systemic performance issues" and that there was no basis for grounding the aircraft. Sunday's Nairobi-bound plane was the same type as the Indonesian Lion Air jet that crashed in October, killing 189 passengers and crew, and Mr Tewolde said there were other similarities. He accepted that Boeing and the FAA must have their reasons for arguing that the 737 Max 8 is safe. But "extreme precaution" was needed and "all of us who have grounded the plane have very good justification," Mr Tewolde said. Both aircraft were brand new and in both cases there were problems minutes after take-off, he said. Which airlines use the 737 Max 8? Regulators, including across the European Union, Hong Kong, Singapore, China and Australia, have banned 737 Max aircraft from flying in or over their airspace. Those authorities must have good reason to ground the aircraft, Mr Tewolde said, adding that safety is paramount and "grounding is the right thing to do". Meanwhile, a number of US politicians have called on the FAA to temporarily ground the Boeing model until their safety is confirmed. But the FAA said other civil aviation authorities had not "provided data to us that would warrant action". Boeing confirmed that it had been developing a "flight control software enhancement" for the aircraft, but said it was confident they were safe to fly. The Association of Flight Attendants-CWA union said the 737 MAX fleet should be grounded out of "an abundance of caution". The Allied Pilots Association said members who had safety concerns would "not be forced to fly". Southwest Airlines and American Airlines, both major operators of the Boeing 737 Max, are continuing to use the planes. What is a Boeing 737 Max aircraft? The Boeing 737 Max fleet of aircraft are the latest in the company's successful 737 line. The group includes the Max 7, 8, 9 and 10 models. By the end of January, Boeing had delivered 350 of the Max 8 model out of 5,011 orders. A small number of Max 9s are also operating. The Max 7 and 10 models, not yet delivered, are due for roll-out in the next few years. The Max 8 that crashed on Sunday was one of 30 ordered as part of Ethiopian Airlines' expansion. It underwent a "rigorous first check maintenance" on 4 February, the airline said. Following last October's Lion Air crash in Indonesia, investigators said the pilots had appeared to struggle with an automated system designed to keep the plane from stalling, a new feature of the jet. It is not yet clear whether the anti-stall system was the cause of Sunday's crash. Aviation experts say other technical issues or human error cannot be discounted. Eyewitnesses say they saw a trail of smoke, sparks and debris as the plane nosedived. Image caption These flight radar maps show the impact of the many 737 Max 8 bans - which have not been imposed in the US. Have you been personally affected by this story? Please get in touch with us by emailing haveyoursay@bbc.co.uk. Boeing: Which airlines use the 737 Max 8?